The E-Force Tournament Bag is the only one you need. Take everything with you in style -- whether you're headed to the racquetball court or to the airport. Additional Features Additional outside entry vented pocket with inner pouch and item separators. Interior pouch for your valuables along with a handy key chain clip. Drying cord for your gloves and/or wrist/head bands. Easy to grab top handles and a detachable shoulder strap. Built to last with heavy 1680 Denier Polyester construction. Fully lined and water resistant for wet and dry items. The Tournament Bag meets airline check-in size specifications! The main compartment is large with a U-shaped zipper top entry for quick and easy access. Five storage compartments allow you to keep your gear organized. The exterior padded racquet pocket holds up to 4 racquets. Padded exterior pocket is perfect for your protective eyewear and other gear. The handy outer vented pocket was specifically designed for your shoes. 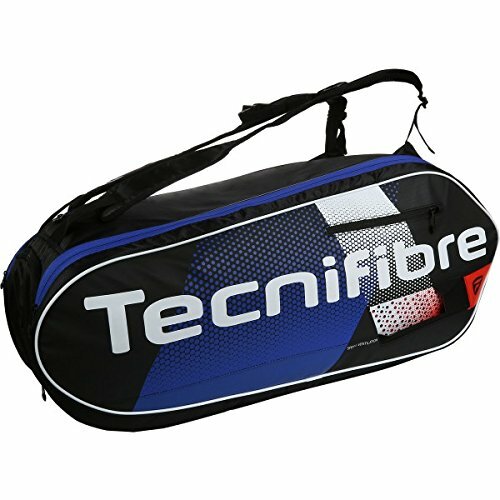 With ample room to hold up to 9 rackets, the Tecnifibre Air Endurance bag is a great choice for the serious player. It is produced from tough and durable, waterproof rip-stop fabric and features 2 large compartments for your equipment, as well as a side zipped pocket. With Speed Ventilation system and air mesh material, the bag provides increased breathability and there is a special ventilated shoe pocket. A high density foam inside the bag for shock absorption and padded, adjustable backpack straps make the bag durable and easy to carry. 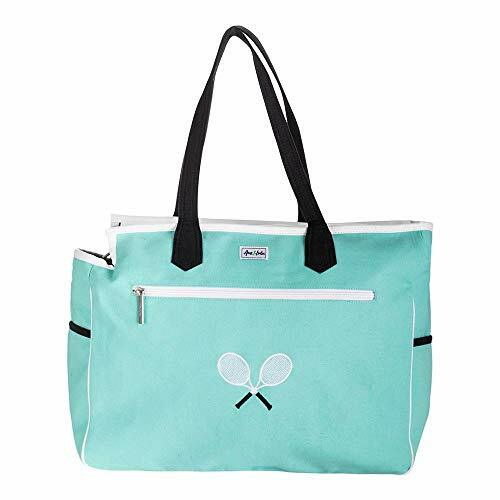 Complete with custom embroidery and classic tennis colors, the Kensington Court Bag is designed to be the perfect courtside companion. 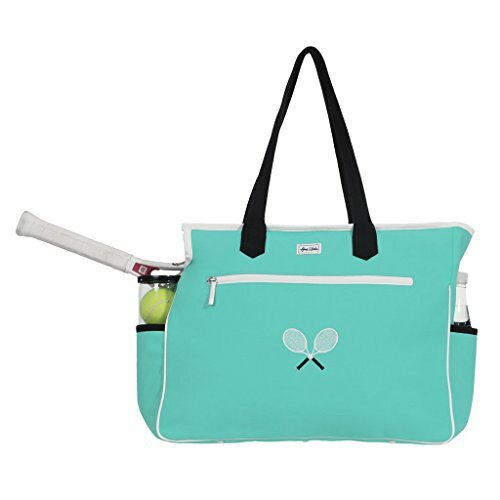 The multiple interior and exterior pockets help to keep all of your tennis gear organized. The Club Bag by E-Force is designed to hold it all -- and do it in style! 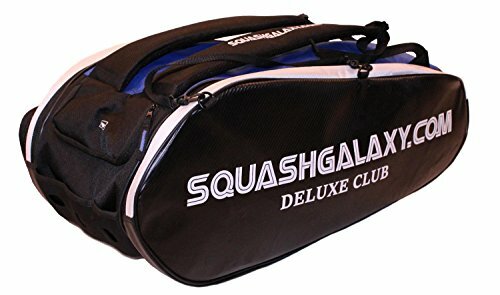 It's the bag for the racquetball enthusiast. Additional Features: Carry the Club Bag the way you want to with the option to use either the vertical or horizontal padded handles. Padded shoulder straps and padding for the back for a comfortable, hands free carrying option. Fully lined to keep your wet and dry items separate. Drying cord for glove and/or wrist/head bands. Made to be durable and water resistant with heavy duty 1680 Denier Polyester. Take it anywhere -- meets airline check-in size specifications! The main compartment is massive! Carry 10 racquets or all of your gear or a combination of both. A second main compartment can hold 3 racquets or a whole bunch of gear! Six zippered compartments keeps everything organized and in its place. Two vented exterior pockets designed for your shoes or other items you want to keep away from everything else. Two additional outside pockets for quick and easy access. 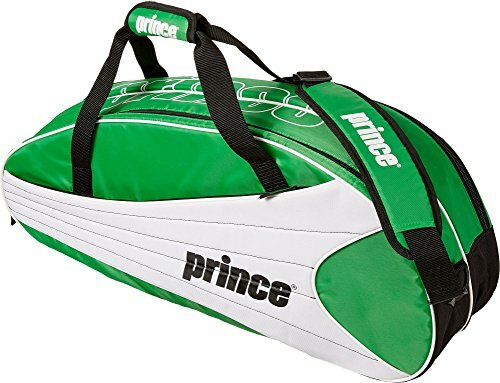 Comfortably carry your racquets to and from practice when you're using the Prince Men's 6-Pack Tennis Racquet Bag. 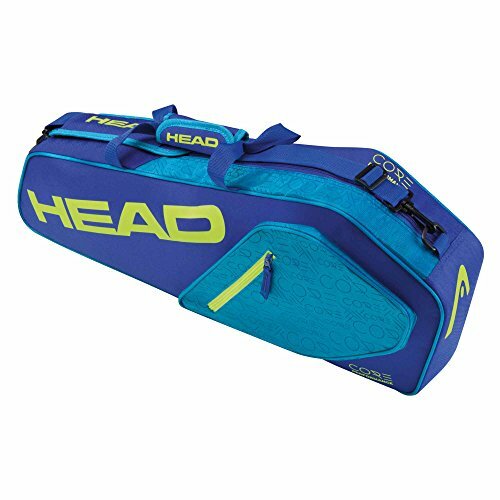 Providing a comfortable and safe way of transporting your equipment on and off the courts, the Head Core Pro 3 racquet bag is a durable choice allowing you to store up to three rackets in one large compartment. The bag features a durable fabric composition, as well as two additional pockets outside with zipper closure to store extra gear, accessories or valuables. For a proper carrying comfort, there is either a dual carry grip or an adjustable, cushioned shoulder strap, both equally pleasant to use. 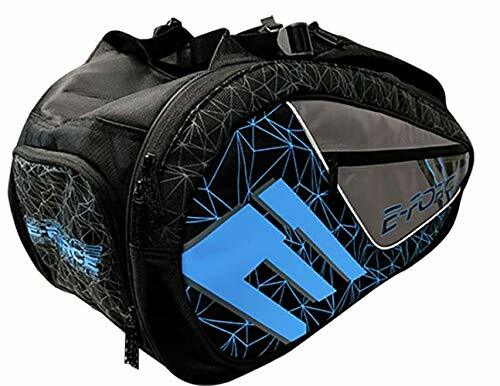 Carbon fiber pattern racquet pockets are padded patent leather for adding protection while the large main compartment fits all the extra clothes needed for a long tournament. Detachable glove/headband cord for the crossover racquetball players!! Style meets function in our newest line of racquet bags. Made of heavy duty patent leather the dynasty has 3 pockets to carry all of your club essentials for a day of matches or full tournament play. This bag also features a full length outside pocket for essentials and an inside pocket for game used gear. 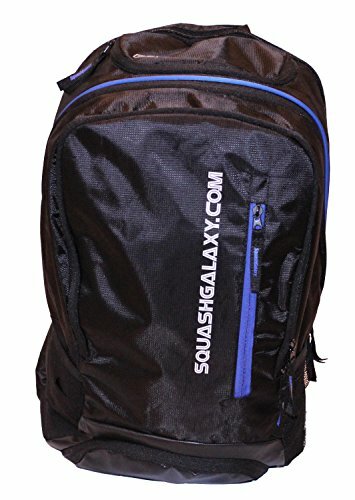 Very roomy and simple to tote, the 6 Racquet Bag/Backpack combination is the ultimate in squash bag convenience. Featuring multiple carrying variations, this bag has both a padded hand and padded shoulder strap, along with a backpack feature that allows you to carry your squash gear comfortable against your back. 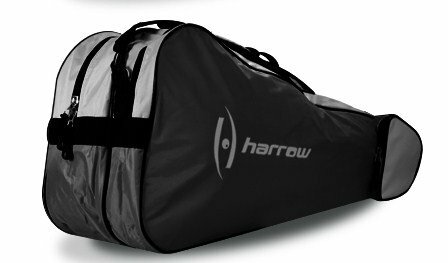 Additional features include two large racquet compartments and outside pocket and a large side access plastic insert pocket for wet gear. 2 main compartments (one thermal which can hold upto 8 squash racquets without covers). Separate shoe compartment which can carry shoes or wet clothing. Separate water bottle compartment. Side compartment for accessories. Quick grab handles and shock eraser backpack straps. 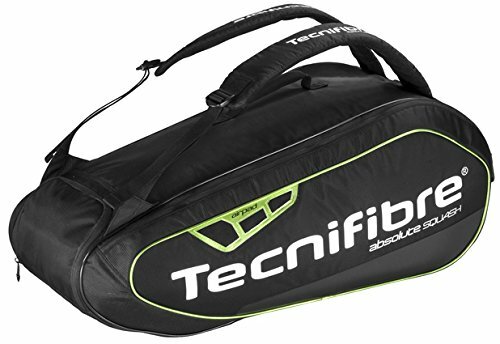 The Deluxe Backpack bag is 100% designed for the budget squash player in mind. More Features that you can imagine in a Squash Backpack at an amazing price! Willsa fabric is ultra-soft & smooth for extreme comfort with very little weight.Ultra-lightweight, stretchy woven fabric delivers superior mobility. 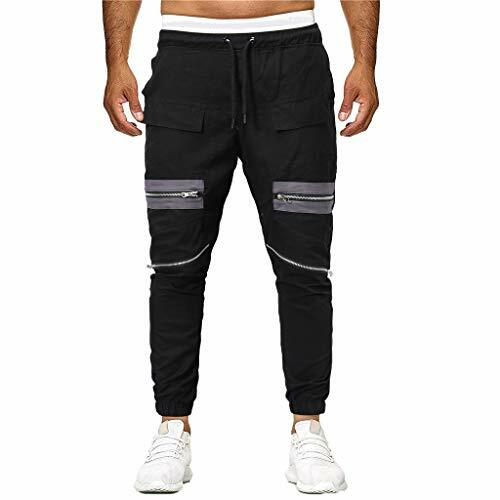 Material wicks sweat & dries really fast.Soft, brushed inside feel.Ultra-durable woven fabric, built for the most intense workouts. Mesh side panels for strategic ventilation. 4-way stretch construction moves better in every direction. Material wicks sweat & dries really fast. Notice:When you buy it, Please refer to our size chart as shown in the last picture on the left or the detailed description below, instead of the Amazon Size Chart.if you are not sure for it,you could contact us,we will solve it soon. 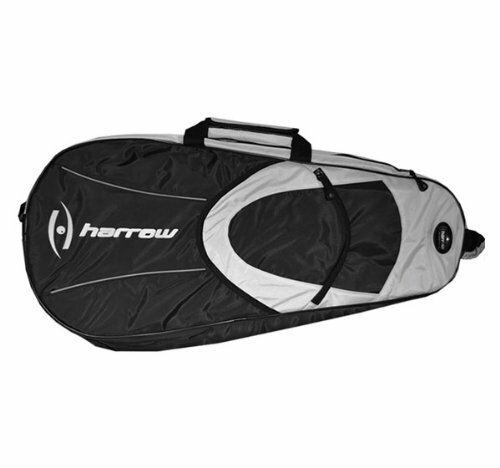 The Harrow 3 Racquet Bag is durably constructed with 800 denier material and features a softly padded inner lining. 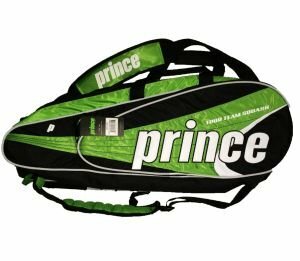 With two main compartments for your racquets and gear, this bag is manageably sized, and perfect for a daily trip to the squash courts. 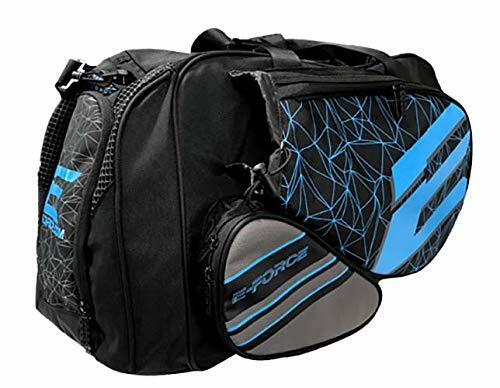 Additional features include both hand straps and padded shoulder strap, two inner plastic pockets for your personal items, and an outside pouch large enough to carry an array of squash balls. 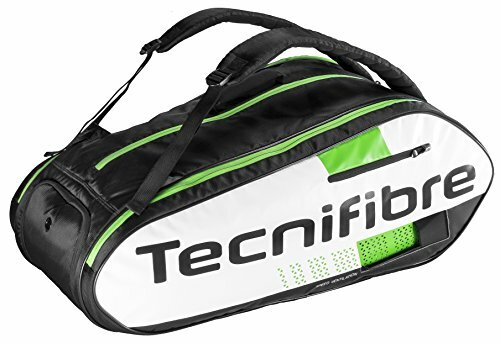 The Tecnifibre Green 12 racquet bag offers plenty of space for equipment and all the necessities.